Isn’t about time we shared some good news? First published by the Nursing Times but you need to be a subscriber to read it. Wouldn’t it be great if at 12 noon on Christmas Day thousands of people across the UK simultaneously shared their good news stories about the NHS on Twitter and Facebook? These could be personal experiences, pictures of Christmas celebrations or just a word of thanks for those who are working in the NHS during the festive season. 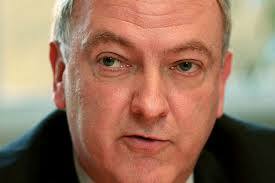 They could come from patients, NHS staff, carers or the general public. They could come from you. Videos, photos, text or sound bites will all add to this movement. 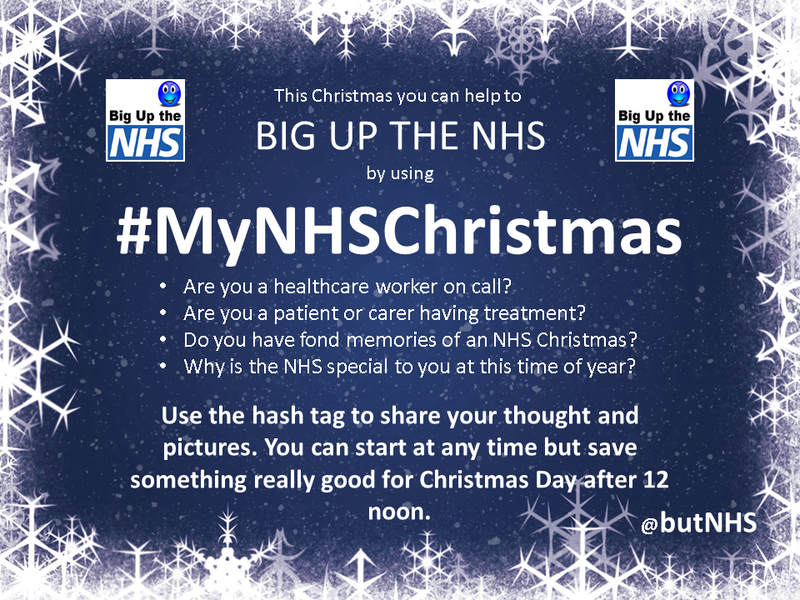 But the common theme is they all include the hashtag #MyNHSChristmas so everyone’s good news stories are easy to find and can be shared with as many people as possible. This surge of activity would be picked up instantly by search engines and #MyNHSChristmas would appear as a “trend” – visible to everyone using social media and fighting back against negativity aimed at the health service. More people would look in and contribute their own messages and stories. The best would be shared or retweeted, the whole movement fuelled by seasonal good will and a tsunami of support and affection for the NHS involving hundreds of thousands of people. When it all dies down, there would be a subtle but real shift in the national mood. Morale of NHS workers may be a little better, patients may have a bit more confidence is the system and politicians would learn why they should value the NHS. It could and it will! Big up the NHS is a national campaign aimed at promoting good news about the NHS using social media. The #MyNHSChristmas campaign is in full swing and is picking up support rapidly. Politicians and celebrities have been recruited to promote and take part. Newspapers and TV have picked it up and it will be getting national coverage on Christmas Eve. The event will be opened with a tweet from Sir Bruce Keogh – Medical Director of the NHS – at 11.59. It will definitely be big – the only question is how big? If you have never been part of a live Twitter event of this type then I would strongly recommend that you give it a go. To see the positive messages flooding in is emotional and uplifting. And if you have never used social media now may be a good time to start. It is easy and free to open account – and it will open up a whole new dimension to your life. A sad NHS is a bad NHS so it is in all our interests to make this work. Please spread the message. Look for #MyNHSChristmas adverts and share them with your friends. Post some of your early thoughts or pictures using the tag, but make sure you keep some back for the day. 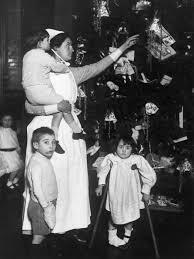 Please join #MyNHSCHristmas at 12.00 midday on the Christmas Day.